A woman dying of cancer is miraculously cured by a handsome young stranger who claims to be the soul of her aborted child. Little does she know that her clean bill of health will cost her the lives of the people she loves most. An amazing new twist on the classic vampire tale, RAVEN chronicles the re-awakening of a seductive vampiress and the struggle of a lone vampire hunter who must overcome his desire for her in order to destroy her. 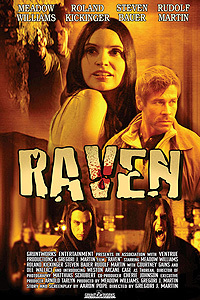 Ravenous with insatiable bloodlust, Raven launches an all-out assault on a small Arizona town, wreaking bloody destruction that attracts an ancient vampire prince and creates a powerful undead brood. Meanwhile, the vampire hunter hurtles towards a fateful showdown with the undead Raven that could bring all of humanity salvation or a future of eternal evil. After the death of his eccentric mother, Michael Foster is set adrift in a sea of madness. 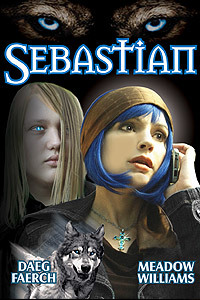 Desperate to reclaim his identity, Michael invites strange characters from his past into his home. But the plan backfires as the crowded, emotionally-charged quarters only exacerbate Michael’s anguish. As Michael careens towards a breakdown and tensions rise among the houseguests, his family is ripped apart and his home life is pushed to the brink of destruction. 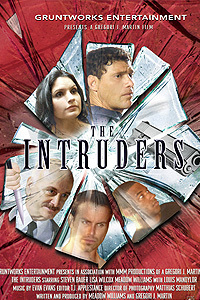 What will it take to get these “intruders” out of their lives for good? 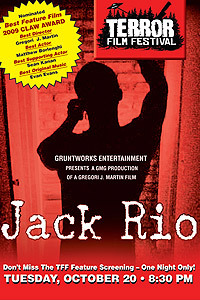 Shortly after the famous actor Tommy Jamison announces he is quitting his leading role on the mega-hit TV show Jack Rio, a crazed murderer goes on a gruesome killing spree. A wave of horror follows in Hollywood, as one by one the killer’s victims are found with their faces hacked off. 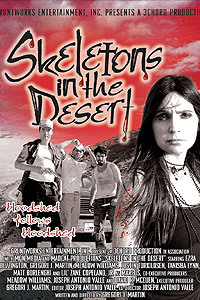 Journalist Andrea Shane (Meadow Williams), who is doing an investigative report on Jack Rio, quickly discovers a link between the murders and the show’s coming demise. As the crisis pushes Tommy to the edge of insanity and investigators inch closer to solving the grisly murders, the audience can only hang on as JACK RIO’s dizzying thrill ride builds to a shocking, must-see climax. During a high-profile investigations, six friends go on a road-trip to Vegas and are forced to face their worst nightmares. GruntWorks Entertainment is currently reviewing several scripts for consideration and is looking forward to shooting its next feature film this coming summer. Thank you for your continued support and see you at the movies! Directed by Gregori J. Martin and supported by the talented and tireless GruntWorks Team of cinematic artists.